Courtesy of Coldwell Banker United,. 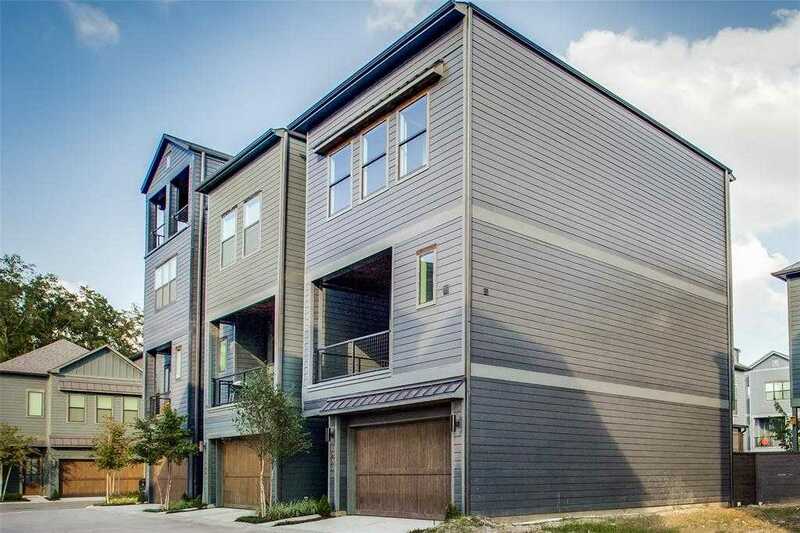 Please, send me more information on this property: MLS# 26312089 – $389,800 – 1806 Colonel Forbins, Houston, TX 77043. Absolutely Gorgeous! Very Unique 4/2/2 Totally remodeled down to the studs with raised ceilings, welcome to an open concept, large kitchen island, shared breakfast & living area with direct access to the large backyard; plenty of space for a pool. Industrial-style lighting, Quartz countertops, Stainless steel appliances, gas range, convection oven, and new cabinets throughout. New Roof, HVAC & ducts replaced, new double paned windows and sliding doors, new garage door & opener, new driveway, tankless water heater, new interior plumbing fixtures, new electrical throughout, new interior & exterior paint, new siding and exterior accent features. Large Master suite, oversized shower, doubles sinks, new toilet, and vanity counter with plenty of storage. The list is endless! Easy access to I-10, B8. Conveniently located minutes from Memorial City, Town & Country, City Center & Energy Corridor. It did NOT flood in Harvey. This beautiful 3 story home offers, tile, carpet and wood flooring. The designer kitchen has quartz countertops and 42 maple cabinets. The master has two closets, Quartz countertops in the master bath with maple cabinets. Stunning ranch nestled in one of the most desirable neighborhoods in the heart of Spring Branch. Gorgeous landscaping & large shade trees greet your guests. Home boasts modern upgrades you’re looking for including Rich Wood floors throughout great for allergy sufferers & pets. Tastefully updated Chef’s Kitchen w/ Farmhouse Sink & Custom white cabinets offset by Stainless appliances. Large Custom kitchen pantry, Spacious Mudroom, Remodeled Bathroom w/ Clawfoot tub and Vanity. Plantation Shutters, New A/C, Tankless Water Heater, & triple pane windows provide comfort & Energy Efficiency. Spacious back yard w/ back patio & sandbox. Zoned to Top rated Schools, walking distance to Nob Hill Park & jogging trail. Enjoy nearby entertainment & dining at City Centre. Minutes to Fine Dining, Shopping, Zoo, Medical Center & Downtown. Miss this one and you’ll regret it! Welcome to this gorgeous ranch style home on a HUGE corner lot! This house has beautiful laminate wood floors & recessed lighting throughout, a new AC unit, tons of storage & is hard wired for the Alexa & Ring doorbell. The formal living & dining room have lots of light. The dining room has built-in storage & granite countertops. The kitchen that opens up to the living room & breakfast room has granite countertops, a marble subway tile backsplash & stainless steel appliances. The large den has high ceilings, a beautiful brick fireplace & a great view of the massive backyard! The master bedroom has a door to the backyard & a walk in closet. The master bathroom has double sinks & a separate vanity. The backyard is great for animals and/or kids to run around & there is plenty of room for a pool! This home is walking distance from Knob Hill park with a running/walking trail & a playground. Tons of shopping & restaurants in the area. Did not flood! Schedule your showing today! This beautiful 3 story home offers, tile, carpet and wood flooring. The designer kitchen has granite counter tops and 42 maple cabinets. Granite counter tops in the master bath with maple cabinets. This home has a great flex space on the first floor. Amazing Custom home located in Energy Corridor. New built features kitchen with Granite counter, Stainless Steel Appliances, wrough iron stairways, Large master suite with custom closet cabinets, Woood floor and Tile through out. Minutes from City Center. Welcome home to 10227 Metronome Drive! Located in the well sought after Enchanted Forest community, zoned to Spring Branch ISD! This home sits on a large lot with ample yard space in front and the back, lush landscaping and well-maintained yard! You and your guests will certainly dine in style in this amazing formal dining room! The open concept breakfast room, kitchen, and living room makes for a great way to keep the party going and never miss a beat! Gather the family together in good conversation while preparing a fabulous meal in this breathtaking kitchen! This master suite is the perfect place to come home and unwind. And with a breathtaking extra large shower you will love getting ready for your day in your master bath! You don’t want to miss all this gorgeous home has to offer! Check out the 3D tour and schedule your showing today! Amazing 3 story custom home. 4 bed / 3.5 bath, hardwood, laminate, travertine, and carpet flooring, custom cabinets, professional stainless steel appliances, granite counters in kitchen & baths, high ceilings, wrought iron stairs, large master suite with his & her custom closet cabinets, large living room with French doors & step out balcony, massive gameroom with French doors to covered deck on 3rd floor, walk-in closets. Close to Energy Corridor, Memorial City Mall, restaurants. As you enter this beautifully updated home you are greeted by a sweeping staircase, accented by an understated dark wood banister. As you continue straight a subtle elevation change leads you into the palatial living room that is an entertainer’s dream! A 24 foot ceiling give this space an expansive feel while the gas log fireplace offers a sense of coziness. The living room offers a broad view of the patio and the manicured back yard. This home boasts a wonderfully updated kitchen with a neutral color palette that offers a refreshing place to prepare a meal or socialize with guest and family. The immense 1st floor master features another gas log fireplace. The master bathroom is the perfect place to unwind! A free-standing tub, separate walk in shower, and a massive walk in closet makes this space incomparable to anything else you’ll see on the market! The upstairs offers 3 large additional bedrooms that allows everyone their own space to stretch out and enjoy! Incredible opportunity for an overbuilt classic, fully updated with features found in homes twice the price. Beautiful wood laminate floors throughout greet you, designer lighting, highest grade new GE stainless appliances including a top end refrigerator/freezer, dishwasher, glasstop range, microwave, incredible stainless cube sink and fixtures create a masterchef kitchen. All wrapped in granite, new custom cabinets, a Travertine backsplash and stainless custom pendant lighting. A large utility room is home to a commercial grade instant on demand tank-less hot water maker across from a brand new top of the line washer and dryer set. The foundation has been leveled with warranty. The pipes have been replaced as well as a new efficient HVAC System, new double pane efficient windows throughout the home. A brand new cedar fence and gate system still has a fragrance. Auto 2 car garage opener. Custom touches are everywhere, come and experience it for yourself.